... as the time between being diagnosed with a brain tumour and the weeks of healing after were TOUGH. We had NO support, advice, help or idea how I would heal or what I should, or could, do. During these few months, several of my husband’s clients’ disappeared- along with our income. So not only did we have the stress of not knowing what was happening with my health, the fact 3 of our kids were taking various exams (GCSE, BTEC and Degree levels) and everyone was under pressure with the extra house chores, and their attempt at nursing! Almost 2 years later we are still struggling... if I do too much I cannot function for a day or two. Even on a good day I can still struggle with coordinating cooking dinner and the 'turning in circles' in the kitchen, as I get food and cook, as it throws my balance off. I still need to rest each day, some days (if I have been busy the day before) for most of it! Yes, maybe I 'could' go to work, but its pointless as we would just lose the same income in tax credits. I want to do more self employed work, on my terms that suits my energy and build up our income that way. Maybe you could support me in buying my book or some art work? 'I' know that I had a 3 cm lump removed from my brain...but most people say I "look ok now", that I "look like normal" or “just back to how you were”... so it feels not many others seemingly know or care that I am not the same. My problems are invisible to most. I don't even have a visible scar on my head. The scar that you could see just after surgery on my neck, now no one can see as it has healed so well, and most of it is under my hair... the hair that is now almost as long as it was before the surgery. No one knows. 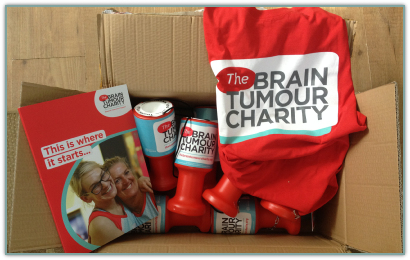 So I decided, I order to help get this support to others, I am going to be helping with fundraising for The Brain Tumour Charity - so if you know anywhere that will have a collection tin- please let me know … and hopefully others in the future, who are in a similar position that I was, will find out sooner the help and support they can get and need.